Teresa Sánchez Cepada de Ahumada was born in Avila during the year 1515, the third child descended from Jewish merchants who had converted to Christianity. At the age of 12, Teresa lost her mother, causing her great grief that prompted her to implore Our Lady for maternal protection and love — “With many tears I begged the Holy Virgin to become my mother,” she wrote. Eight years later after reading the letters of St. Jerome, another doctor of the church, she entered the Carmelite Convent of the Incarnation in Avila, a religious house that was very lax in its observance of the cloister and the evangelical counsels. At first, while at the convent, Teresa made great strides in her prayer life through quiet contemplation. Then she became ill, falling into a coma and being paralyzed for almost three years. She attributed her healing to the intercession of St. Joseph. For almost 20 years Teresa had a superficial prayer life influenced by the comings and goings at the convent. But at the age of 39 she began to enjoy a vivid image of God’s presence within her. Teresa had always been accustomed to contemplating Christ’s presence within her after receiving him in the sacrament of holy Communion. However, she soon understood that the presence she received did not fade away. As a result, she fell into periods of ecstasy while praying. In one such episode the cloistered nun saw an angel with a golden lance above her. The angel drove the lance repeatedly into her heart. This caused great pain, but also a feeling of great joy and love. This is called the Transverberation of St. Teresa of Avila. Then St. Teresa had a vision of hell in case she should have been unfaithful to grace, and thus she became determined to seek a more perfect life. In doing so with much opposition and troubles, St. Teresa founded the convent of Discalced (Barefooted) Carmelite Nuns of the Primitive Rule of St. Joseph in Avila. Other convents would be founded later. This reform was done in association with St. John of the Cross, also a doctor of the church. The two saints initiated a reform that the Discalced nuns and priests would live the vows of poverty, chastity and obedience with great zeal and vigor. In fact St. Teresa found this prayer was not just a model for vocal prayer, but a foundation for the highest mystical prayer as well. She wrote that in praying the ”Our Father” we must realize our Creator is also our loving Father and his home in heaven is destined to be our home, too. For her the “Our Father” begins by establishing an attitude of adoration, worship and reverence. It makes clear that the chief object of prayer is not to get something, but to become something — what God wants us to be, to grow in Christ. The essence of Christian prayer for her is this search for God so that in him we may live. Throughout her works her advice is to “keep close to the Lord Jesus, come what way. Don’t let anyone persuade you that there is a better way of growing spiritually.” For her the Christian life is merely the continuation of this prayer of Christ. She continues by explaining how prayer is a conversation with God, and God does not use human utterances when communicating with those who pray, but he speaks by silences on a deeper level. So prayer is not just talk, but an exchange that takes place at the very core of a person. It is our response to God inviting us to share even more fully in his own life. Teresa stressed that if one prays vocal prayers well, “God will lead you onto things supernatural.” When vocal prayer is properly said and with an awareness of the one to whom it is addressed, then it becomes mental prayer. Pope Paul VI in 1970 wrote the Apostolic Constitutuion “Laudis Canticum,” which promulgated the Liturgy of the Hours. In it, he stressed the ancient Christian custom of praying the “Our Father” three times a day. This being so, we should to learn to say it as St. Teresa taught us — slowly and deliberately. 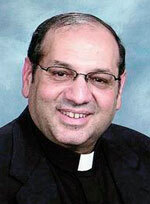 Father Gus Puleo is pastor of St. Patrick Parish, Norristown.